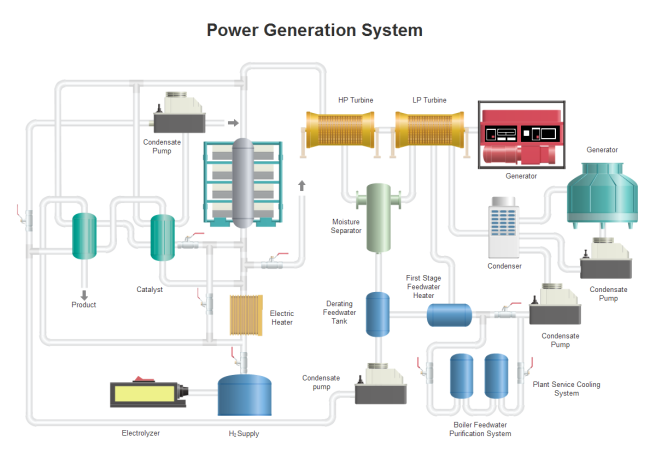 Provide common P&ID electrical symbols used in piping and instrumentation designs. 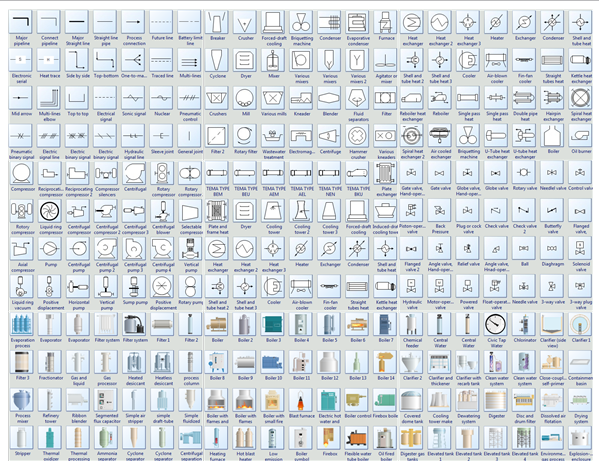 You will find more than 2000 vector electrical symbols for P&ID drawing. 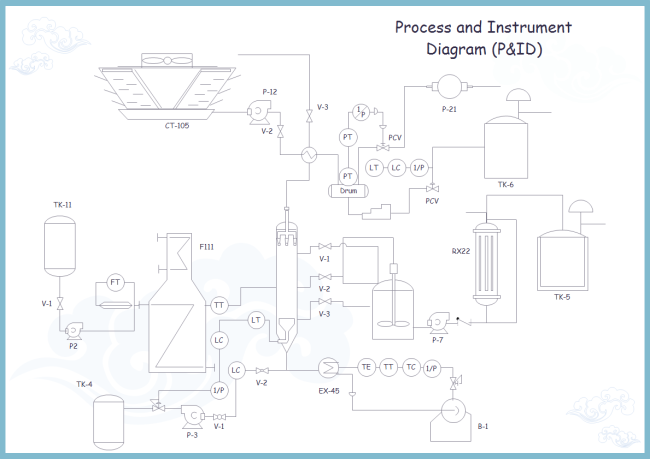 Exhaustive P&ID symbols help you reduce your design and documentation time for creating awesome piping and instrumentation diagram. Download now and experience an extraordinary easy drawing journey. This picture shows only a part of the symbols in Edraw P&ID designer. There are more than 40 symbols libraries from which you can easily get various P&ID symbols such as pump, valves, ductwork, tank, meter, mixer, heater, fan, and HAVC symbols. With one symbol package at hand, you don't need to find any other materials. According requirements of users, we have developed symbols with different looks. Take valves symbols for example, there are three styles available. Edraw has newly released a set of P&ID electrical symbols which are highly close to the real objects. Vivid symbols produce intuitive and visual-appealing results. This type of symbols are also quite popular. They are abstract images but with highlight effect. Abstract symbols are the easiest, but commonly used in documents, studies or academic reports. You can even draw symbols by yourself through Edraw. Below are some examples showing how to use the symbols. To view more examples, you can click P&ID examples and PFD examples to get dozens of nice examples.